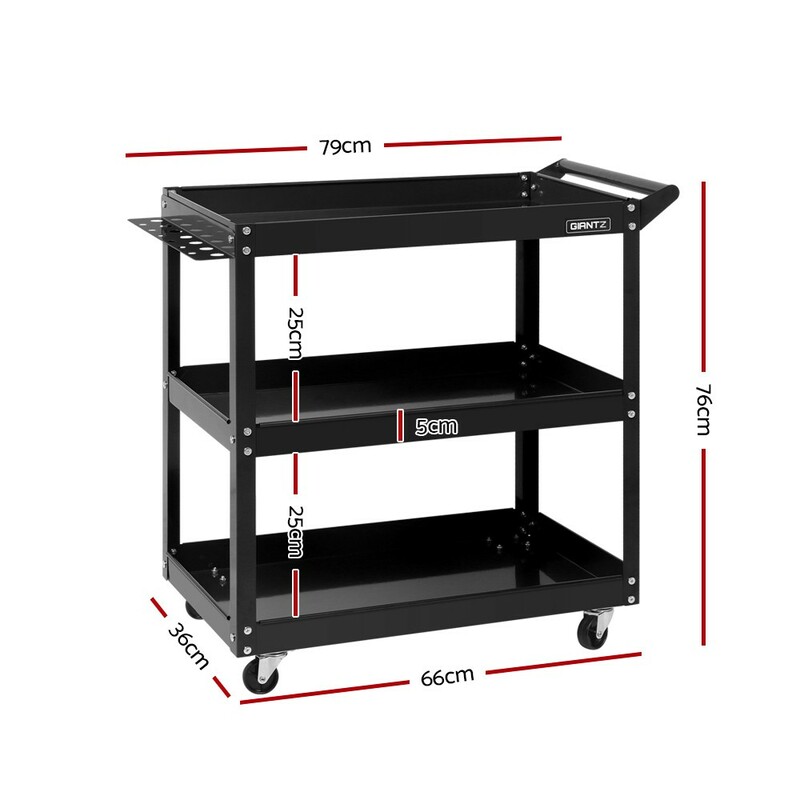 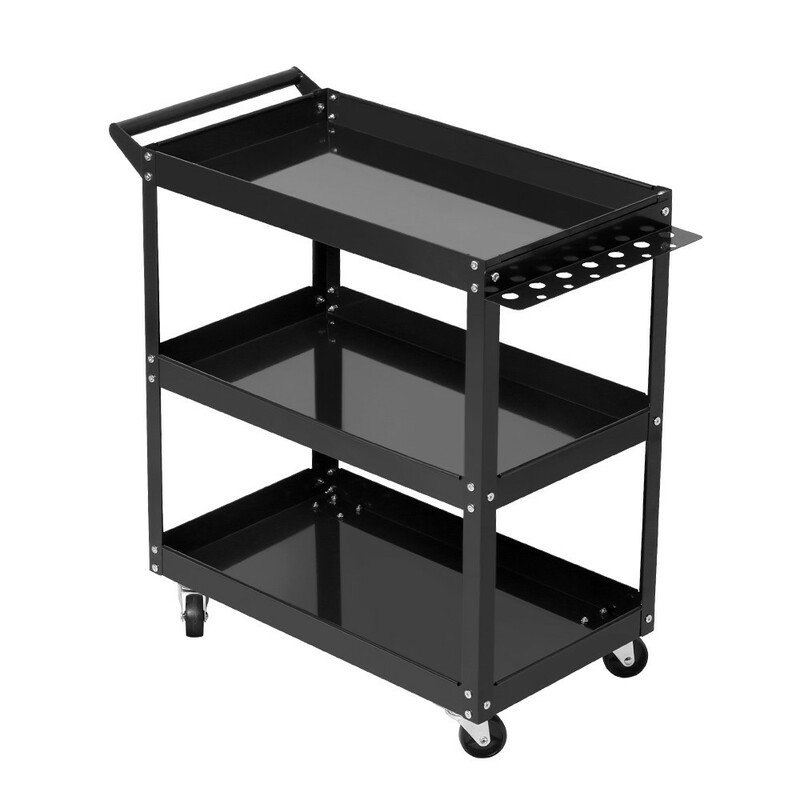 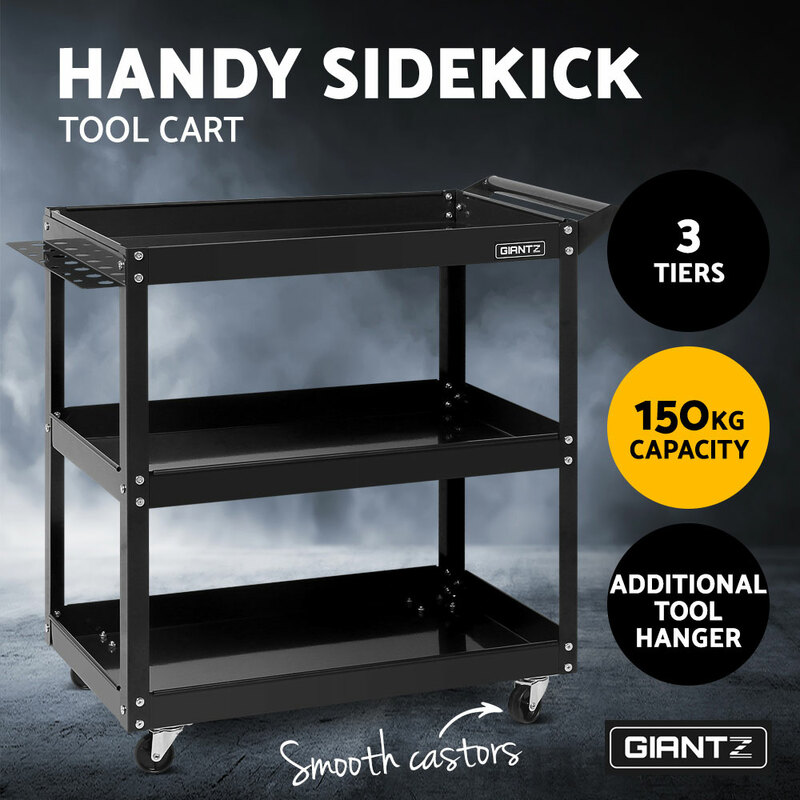 Our Black Tool Cart is designed to help make your tasks a lot easier. 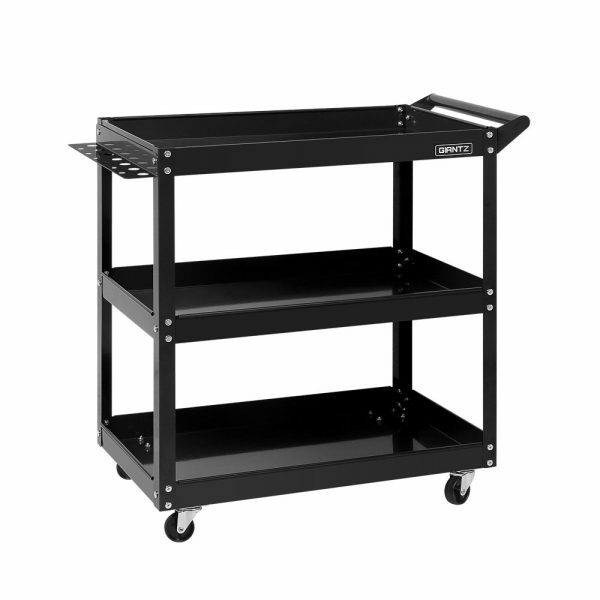 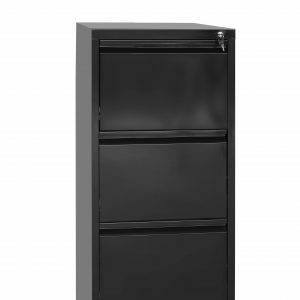 With its heavy-duty powder-coated reinforced steel construction, the rust-resistant cart can stand up to daily on-the-job robust use with little hassle. 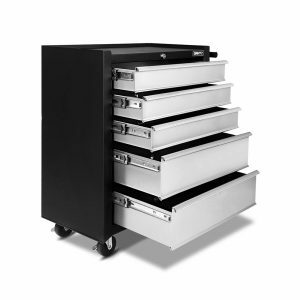 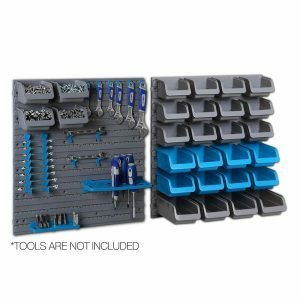 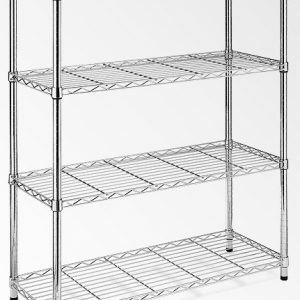 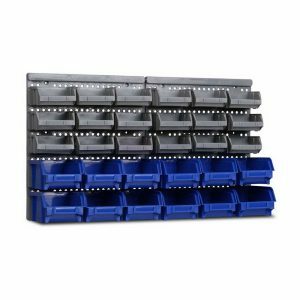 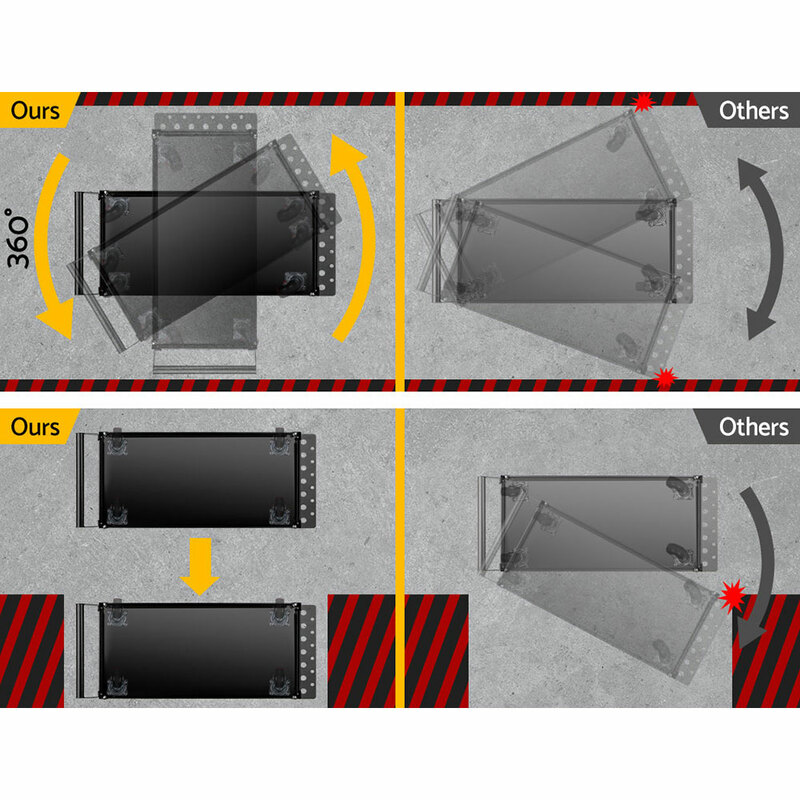 Three tiers of storage ensure that there is ample space to organize you tools and components for easy accessibility. 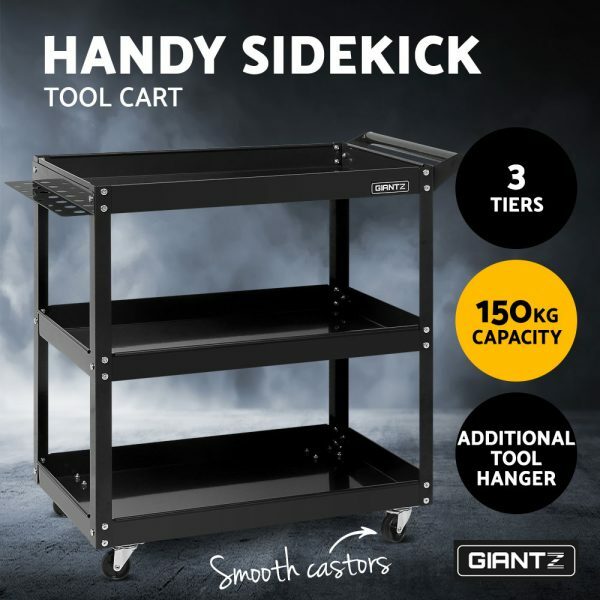 The handy tools hanger also allow you to have your go-to tools close at hand and easy retrieval at all times. 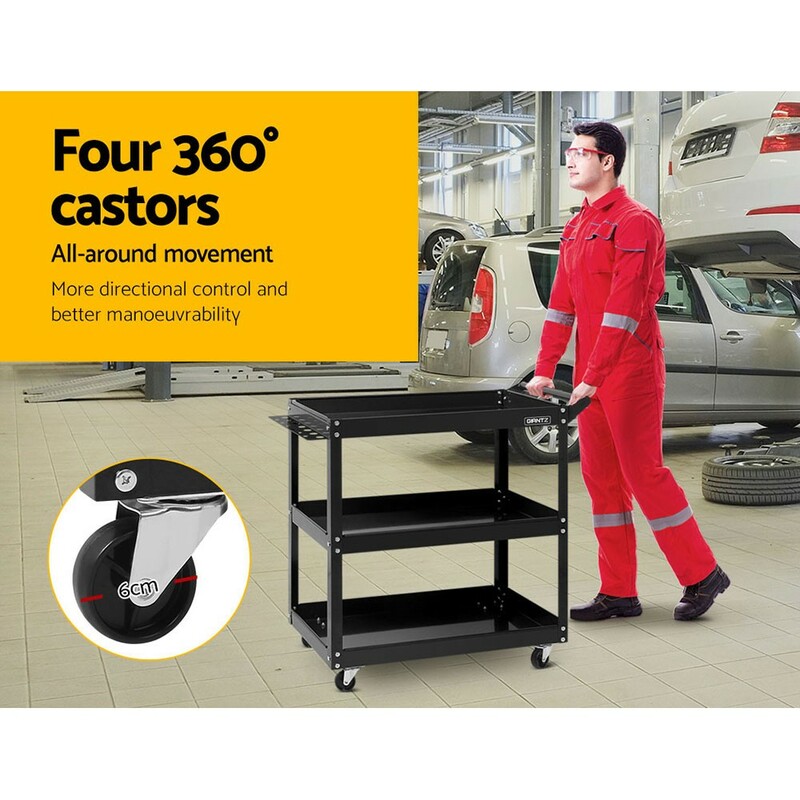 Not least, the castors are omni-directional and are also lockable with the useful brakes while the large handle makes for good grip and handling. 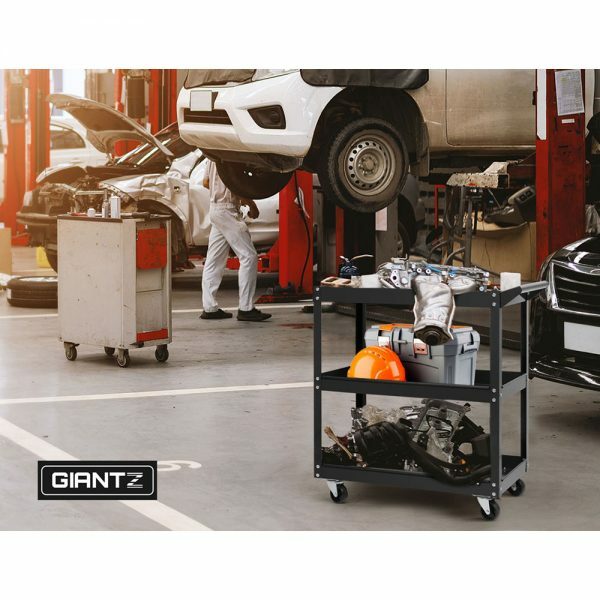 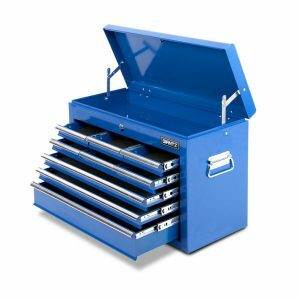 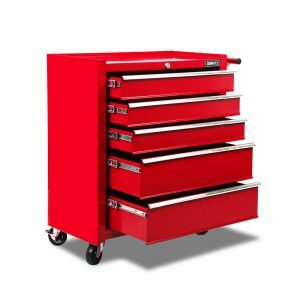 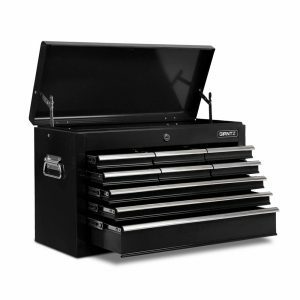 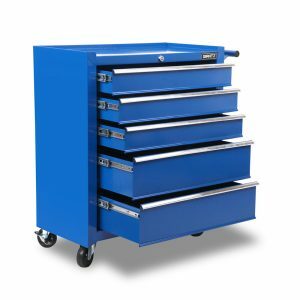 Have it in your garage or workshop, the tool cart is a must for better efficiency and productivity.